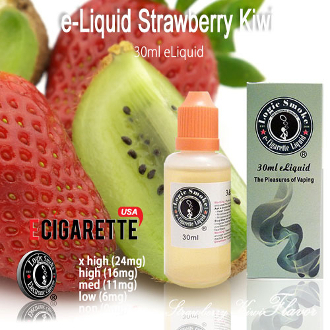 The sweet taste of sun-ripened strawberries and the slightly tart flavor of kiwi is what you get in our Strawberry-Kiwi flavored electronic cigarette e-liquid. It's a flavor dynamo! And when vaped in your favorite electronic cigarette, you'll get fat, satisfying vapor that is sure to please. Try it today alone or mix with our other fabulous fruit flavors for a flavor invention of your own.